Find Decatur, GA Condos for sale. View Photos, Maps and MLS Data Now! Make This Your Home And Bring An Offer Today! Sold As-Is. MLS#6539986. Networth Realty Of Atlanta, Llc..
MLS#6539965. Keller Williams Realty Chattahoochee North, Llc. *** Tax Records State Property On Septic Tank, Yet It Should Be Public Sewer*** MLS#6539843. Keller Williams Buckhead. Close To Downtown Decatur And Avondale Estates, Next To The Path, Zone 1 For Museum Charter, And Walking Distance To Marta And The New Decatur 77-Acre Development. MLS#6539688. Adams Realtors. 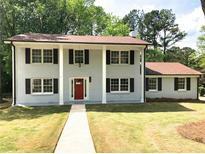 Oakhill Place - See This Decatur/Druid Hills School District Dream Home Today! MLS#6539463. Palmerhouse Properties. Heathcliff Heights - Easy Access To Emory, Cdc, Decatur, 85 And 285, Shopping And Restaurants. 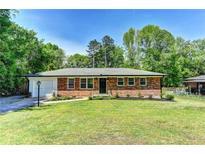 MLS#6539355. Perimeter Property Services, Llc. This Home Is A Definite Must See, So Bring Your Buyers Out Asap!!! ! MLS#6539249. 1St Classic Realty. *Complete Renovation Comes With New Paint**New Flooring Thru Out*All New Kitchen With Custom Soft Close Cabinets, Quartz Counters & Stainless Steel Appliances*Bathrooms W/Quartz Vanity Tops*All New Upgraded Light Fixtures And Much More*No Expense Spared In Making This The Absolute Model*A Must See* MLS#6539730. Drake Realty Of Ga, Inc.. Screened Porch Is Just Waiting To Be Converted Into Spacious Laundry Room. MLS#6539452. Keller Williams Realty Metro Atl. Located Right Off I285 And Very Short Drive To Downtown Decatur. 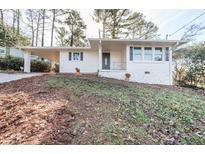 MLS#6539729. 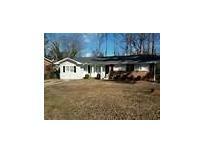 Drake Realty Of Ga, Inc..
Great Location Conveniently Located Close To Shopping, Dining, Downtown And Major Highways! MLS#6536554. Keller Williams Rlty, First Atlanta. 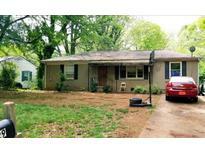 Near Downtown Decatur, East Atlanta And Oakhurst! MLS#6539419. Era Atlantic Realty. Go Green With All New Low-Flow Plumbing Fixtures And All New Led Lighting. MLS#6539196. Re/Max Metro Atlanta. Backyard For Gatherings And Entertaining. One Car Garage. Convenient Location. MLS#8567448. Keller Williams Realty. Oakhurst - Nest Thermostats &Security Cameras. Built In Speakers! MLS#6539027. Virtual Properties Realty.Com. Glenwood Estates - If Your'E Looking For Period Charm In The Context Of 21St Living, This Home Is For You! MLS#6536832. Compass. Springdale Heights - A Little Sweat Equity W/ Big Pay Off! MLS#6538944. Coldwell Banker Residential Brokerage. 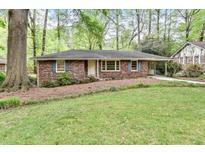 North Riderwood - Close Proximity To Oak Grove, Emory, Cdc, Decatur, Northlake Mall And Major Highways. MLS#6539025. Re/Max Metro Atlanta Cityside. Wilsons Crossing - Conveniently Located W/Access To Hwy'S, Emory, Restaurants & W/In Strolling Distance To Parks & Award-Winning East Lake Golf Club! MLS#6538696. Keller Williams Rlty-Ptree Rd. The Real Gem Is The Oversize Deck, Don'T Miss It! MLS#6538934. Duffy Realty Of Atlanta. 3 Car Garage Is An Added Feature MLS#6536430. Select Realty Advisors Llc.